Flip a coin. If heads, opposing Pokémon must be discarded. If tails, Cartman must be discarded. 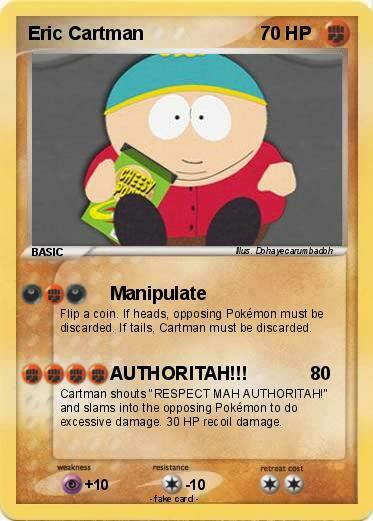 Cartman shouts "RESPECT MAH AUTHORITAH!" and slams into the opposing Pokémon to do excessive damage. 30 HP recoil damage.